The Liberal government says it is “modernizing” the way Canada reviews pipelines and other resource projects, in a revamped process that considers future greenhouse gas emissions. The new review process seeks to promote public transparency and provides funding for First Nations consultations. Kinder Morgan’s Trans Mountain pipeline expansion: lowering pipes into trench. OTTAWA – There’s fresh fuel for the raging national pipeline debate as a new audit has found the National Energy Board is failing to track pipeline approval conditions or follow up on compliance problems. The tar sands are the most polluting resource extraction operation in the world today. This film discusses some of the issues surrounding the tar sands and the impending development of pipelines in eastern Canada and pipelines in western Canada to open markets for this dirty energy. This documentary concentrates on the Indigenous struggles against the tar sands and the impending expansion of this operation if the western and eastern pipeline projects succeed. This film was made possible with generous donations film footage of independent filmmakers from submedia.tv and Greenpeace Canada as well as support from Indigenous Tar Sands Campaign and Idle No More Winnipeg. 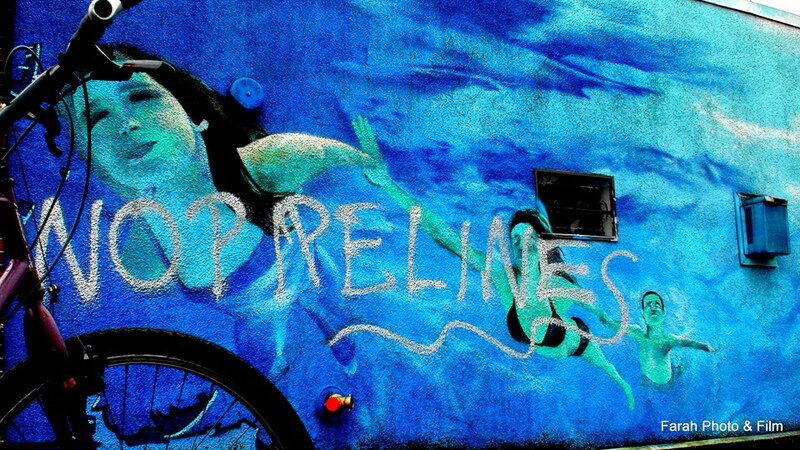 Business mural with “No Pipelines” spray painted on it, Commercial Drive, Vancouver. Vancouver residents are used to seeing graffiti on city streets, but recent work by an unknown graffiti artist is not sitting well with some of them. The graffiti with a consistent “No Pipelines” message has been popping up on residential buildings and businesses along Commercial Drive, Victoria Drive and Main Street.